Spring has sprung and the signs of it are blossoming all around Plano. Now that we’re getting some great weather to enjoy, getting out and about for some fun is in order. The great thing about Plano is that you are never short on choices of what to enjoy. Are you a music fan? 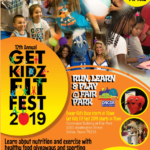 There’s plenty to tap your toes to from CityLine in the Park to Hale Baskin and her Jazz Addiction playing over at the McCall Plaza to Watters Creek Concerts by the Creek. 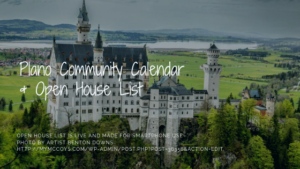 Our great friends over at Plano Profile are wonderful at keeping their community calendar live and current with fun and interesting events around town for your entertainment. Support local rescues, get healthy or take in a play. 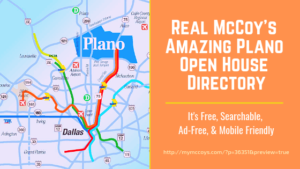 The choices are vast in Plano and that’s why we love getting out around town. We love getting around town for all the festivities and we know you’ll love doing the same! Plano ranked happiest city in U.S. according to WalletHub.com! We’ve been saying it all along and we hope you’ve noticed. Okay, maybe we didn’t exactly saying it in words, but more with the tone of our blog posts. Now, there’s a study that’s been done by WalletHub, the AI financial advisor that helps people efficiently attain top WalletFitness™ so they may enjoy life instead of worrying about money, that studied which cities have the happiest people in the US based on certain factors. Plano is NO. 1! We weren’t surprised. We LOVE living in Plano, Texas and we have since, well forever! There really hasn’t been a time when we’ve thought about grabbing our clothes, kids, pets and the pots and pans to uproot our family and move elsewhere. We’re perfectly content where we are. 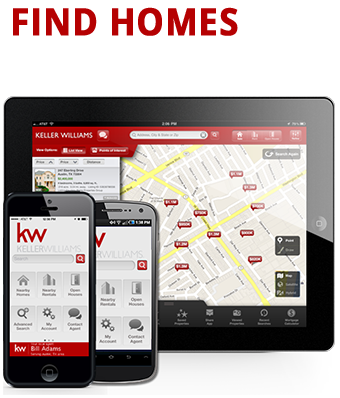 Sit down with us for a cup of coffee or a glass of wine and we’ll tell you a multitude of stories of the great times we’ve had here with each other, with family, with friends and with our many experiences as Realtors. When we tell you we’ve had a very happy life here, we mean it. When it comes to being happy, location plays a pivotal role in how happy you are. We truly believe that. It’s a fundamental right of our as Americans. It’s even written in the Declaration of Independence, so our forefathers understood that as well. There are many keys to happiness. They include a positive mental state, a healthy body, strong social connections, job satisfaction, and financial well-being. These keys are being studied individually all the time, for example, access to money can increase one’s choices of what they do or buy which can increase happiness but by itself cannot bring about happiness. 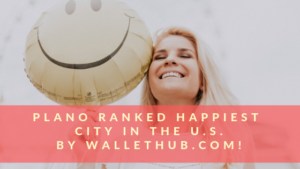 WalletHub drew upon various findings of positive-psychology research in order to determine which among more than 180 of the largest U.S. cities is home to the happiest people in America. We examined each city based on 31 indicators of happiness, ranging from depression rate to income-growth rate to average leisure time spent per day. The U.S. Declaration of Independence speaks about the “pursuit of happiness” as a universal right. However, everyone gets joy from different things, whether it’s family, friends, activities, entertainment or work. What people might not realize is that where you live may also determine how happy you are. Location plays a hand in how bright or gloomy our days are. For years, researchers have studied the science of happiness and found that its key ingredients include a positive mental state, healthy body, strong social connections, job satisfaction, and financial well-being. However, money can only make you so happy – people who make $75,000 a year won’t get any higher satisfaction from more money. As this study aims to illustrate, moving to a certain city may help you be more content. WalletHub drew upon the various findings of positive-psychology research in order to determine which among more than 180 of the largest U.S. cities is home to the happiest people in America. We examined each city based on 31 key indicators of happiness, ranging from depression rate to income-growth rate to average leisure time spent per day. Read on for our findings, methodology and expert commentary from a panel of researchers. To see which states combine all the necessary components of happiness, check out WalletHub’s report on the Happiest States in America. Happiest Cities in the U.S.
Moving to Plano doesn’t mean you’re going to be house-poor because it’s so expensive. Our great city has actually been on many top-10 lists for being in the greatest or fastest growing areas in the U.S., it also has one of the healthiest job markets. Women inspire me. Regularly. Often. I learn something from almost every interaction. Being around women deeply connected to their own power is like a master class in how to do the same. It’s a reflection of where you have left to grow (which will always be a thing), and the small places you can make another person feel seen. So, let’s let the love of our women flow forward. Here’s what some of my favorites do, which makes me want to do the same. 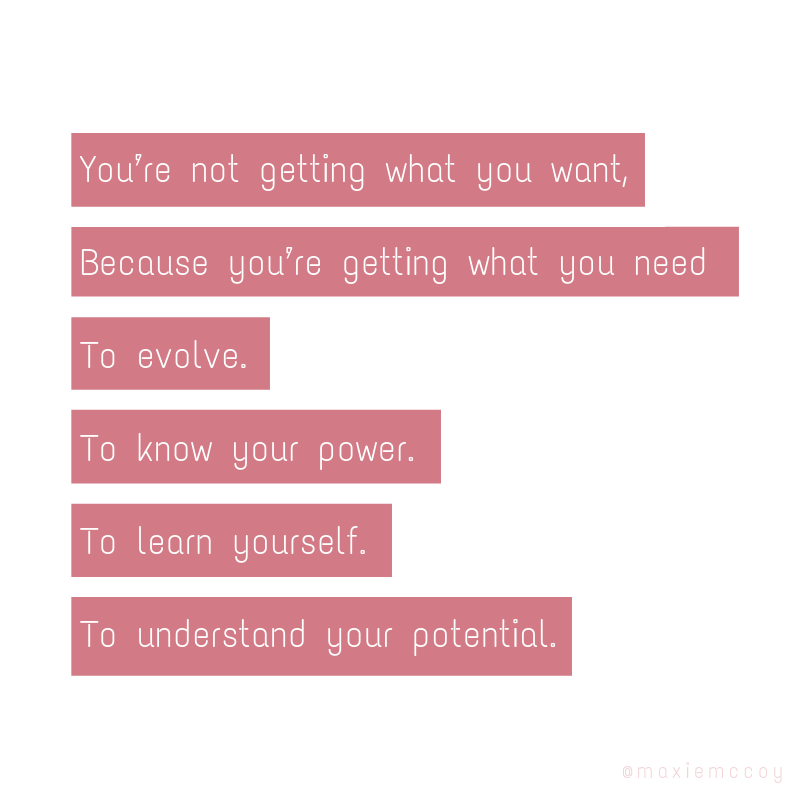 And for the record, it’s not about being someone’s favorite, but it’s about leaving an impression of love, of inspiration, of support, and of potent good vibes – all of which give us all the confidence to keep going. They laugh with you. At you. Because of you. They’re just so damn easy to laugh. They actually follow up. They do the connection intro right-then-and-there. You know those conversation where you’re like “OMG, I’ll send this link or intro to you about X,Y,Z”….and then they ACTUALLY send what they said they would. It’s the little things. They show up. For the bigs. For the nothing. They see you rubbing the crick in your neck, and they get up and massage the knot out for you. Queens. They’re honest. They let you see yourself in them. Because they share that they actually photoshopped their bun, or admitted they said something nasty, or open up about their extreme doubt. Their honesty lets you in. They’re not always reloading. They’re actually listening. They’re curious. They want to know more. They’re full of ideas and connects on how to bring your dream to life. They say, “That’s SO you.” Because they cared to understand you in the first place. They text after they see you. Because seeing each other WAS real joy. Why not let ’em know. They let you spout your bullsh*t. And they know that you know 90% of it is your bullsh*t.
They tell you NO. Which is a reminder to have boundaries, too. They make plans. They put things on your calendar. Cuz, committed. They’re more excited about your wins than you are. Cheer-EFFING-leaders. When you self-deprecate. They call you out. Because ya, you are beautiful even if you forgot mascara and have no bra on. They Facetime… even if they hate to Facetime… because you love to Facetime. They bring you flowers. Just because. They ask about your family. And remember the important days. They quote you to yourself. Because they’re funny like that. Your Guide to St. Patrick’s Day Fun in and Around Plano This Weekend! 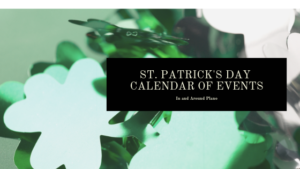 The great folks at aroundtownkidsplano.com put together an event calendar that’ll keep you informed of ALL the St. Patrick’s Day fun around Plano, Fort Worth and Dallas. We suggest you get dressed up in your best green and head on out for some lively fun! Who knows, maybe there’ll be a beautiful rainbow to add luck to all those photos you’ll be taking while you’re out! The new $1.3 Billion mixed-use phase of development is beginning at Legacy West, Plano. It’s not a surprise that this already successful but newly opened mile-long project is expanding so soon. It’s big but things tend to go bigger in Texas. It’s how we are. It’s what we do, and we do it better than pretty much anyone else. To prove it, you only need to look back at the (loosely told) history of how the population grew in our wonderful city of Plano as an example of what we mean. Founded in 1873 and named after the Spanish word for ‘Plain’ (which apparently described its terrain), the population nearly tripled at the beginning of the 1900s going from over 1300 people to about 3600. Fast-forward to 1970 and we were at a little over 17,000 residents. When it was time to welcome in the new millennium 220,000 Plano residents looked for someone to kiss or prayed all the computers in the world didn’t break down. Last year we were at over 280,000 people. We sure know how to grow a city, don’t we?! It’s no wonder then, that when Plano decides to approve the plans for a development project the likes of which it’s never seen before, you better believe it was going to be big. Five years ago that’s exactly what happened when the development project of the 250-acre Legacy West, Plano was announced, at a price-tag of $3 Billion. $6 Billion later, we have the incredible city within a city that draws tens of thousands of people every week and the largest, most successful mixed-use development in North Texas. 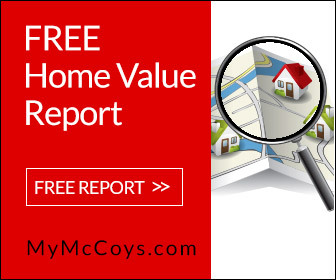 It’s also the place we McCoys call ‘home’. One of the reasons we Texans are so good at being big is that we do it with intelligence and good strategy. Take for instance this new $1.3 Billion development happening at Legacy West now. Here’s where good strategy and planning ahead is being applied in a way that makes good business sense for everyone involved. While looking at what to build on the vacant block at the north end of the Legacy West Urban Village, at Headquarters Drive and Windrose Avenue, the idea was to build out more retail space and maybe a boutique hotel. The new plans, however, call for a combination office, retail, and apartment building instead. Designed by Gensler Architects, the project will include almost 87,000 square feet of office space and more than 24,000 square feet of ground-floor retail. There will also be a large parking garage. On the west side of the building, facing Communications Parkway will be five stories of apartments — 161 units. “They will be a higher-scale, upgraded apartments,” Karahan said. Karahan Cos. is building the project in partnership with Columbus Realty, which has built the rest of the apartments in Legacy West Urban Village. The developer has already leased out more than 200,000 square feet of office space in the project, with major tenants including Boeing, Toyota Connected and WeWork. The next phase also includes a large parking garage, the report said. Plano’s parks and recreation department also went before the city council with a propo sal for an updated master plan that included a recommendation for a deck park over the Dallas North Tollway. 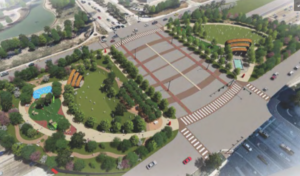 The park would bridge Legacy West and Legacy Town Center and “would create usable park space and create safer pedestrian connections in a highly developed area, similar to the Klyde Warren deck park in downtown Dallas,” according to the master plan. Personally, we can’t wait for this new development phase to happen. More businesses mean greater stability for the area. This development is definitely worth completing! We’re drawing in major companies with the likes of Boeing, Fed-Ex, and Toyota plus the addition of Japanese based firm coming to Legacy West. This allows us to stay ahead of the rest of the country economically and helps raise up our already incredible school system from its tax base. We think great things are in store for Plano and we are enjoying every moment of living in such a wonderful city with such a colorful history and an incredibly bright future. 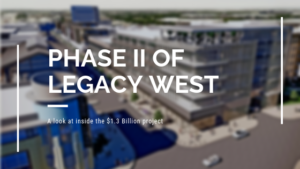 There seems to be no shortage of information about Legacy West. Everywhere you turn the name pops up in conversations, on blogs, and in the news. Whether it’s a new store opening or a major company announcing Legacy West will be it’s new headquarter,s it’s hard to live in Plano and not hear the name wherever you go. There are some things you may know, however, especially when it comes to the many incredible restaurants that call it home. Not to worry though, we’re always exploring and enjoying the food when we’re out and about at the development we now call home (which is almost every night). We’re just thankful, however, that there is plenty to see and we can enjoy a nice long walk around the development after we’ve enjoyed whichever delicious dish we ate on any given night. Gotta watch those waistlines! Here are three restaurant secrets we’ve discovered around Legacy West. 1. Books and Beer and Wine, Oh My! 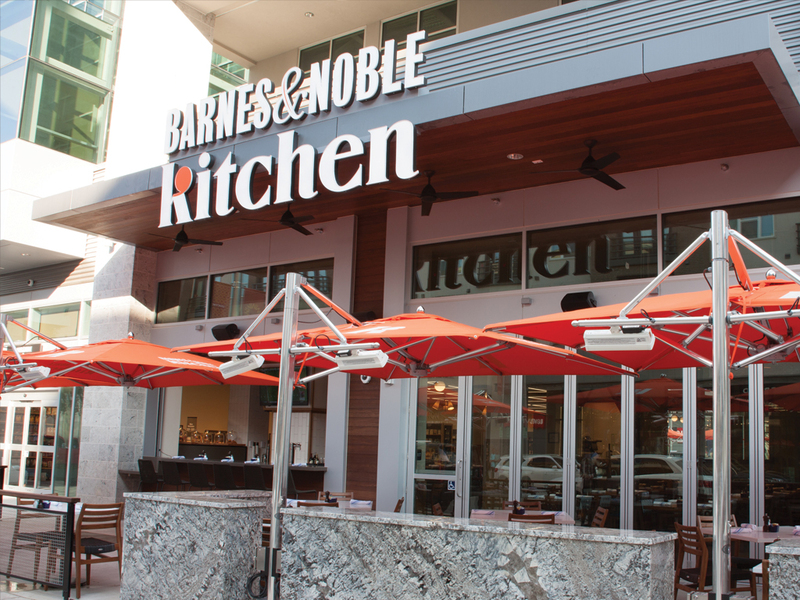 Believe it or not, the Barnes & Noble’s at Legacy West has a restaurant that serves wine and beer. Have we died and gone to heave? It feels like it! 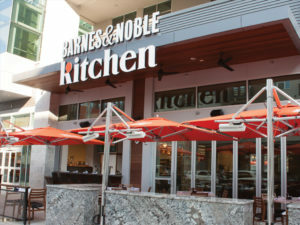 This new Barnes & Noble’ s ain’t your average books store. It’s actually one a concept store for the chain and will be the first in the southwest with a restaurant that offers an expanded menu that includes wine and beer. The store is over 9000 square feet and is designed with relaxation in mind. You know that feeling where there’s nothing you’d rather do than curl up with a good book and a glass of wine? This Barnes & Noble’s understands it and expounds on it. Here’s the menu so you can pick what you want before you. We want you to use your time there reading and relaxing. Sorry ladies, this one is for the guys. It’s okay though, we’ve been the cornerstone clients of the ‘relax and pamper yourself’ industry for a while and for good reason too! That reason being we work hard at everything we do and hold a good portion of this great big world together!! That being said, men have ‘been left out of the ‘salon’ scene. They go to barbershops or fast service salons where there in and out. This gives them time to go where they can relax after their hard work is done i.e. a sports bar, fun range, or a golf course or even a run through the park with their faithful dog. Seriously, where on that list does it say anything about pampering? Nowhere and that’s why Venetian Nail Spa has set out to change all that. They’ve vowed to save men from gnarly nails, overgrown cuticles and those jagged-edges on tops of their nails and they’re going it with some special packages ‘just for him’. The basic manicure includes trimming, shaping, cuticle grooming, buffing and a nice lotion massage and is under twenty bucks. Plus it takes less than 20 minutes from start to finish giving you men plenty of time to get to your favorite sports bar, golf course, Cowboy’s game or ax throwing competition completely rounding out your day of relaxing. This one is a secret hidden in a secret. We let the second one out the bag in the title, but you can’t get to the second one without knowing the first one so let’s start there. Next time you’re at Legacy West and after you’ve had a nice meal at Barne’s & Nobles and your nails have been buffed to their finest at Venetian, stroll on over to Neighborhood Goods and see what they have in store. While you’re there, check out Prim & Proper, the restaurant located within the store. Within the restaurant, within the store, you’ll be able to order your Millennial Toast. The store is a collaborative restaurant concept developed by Neighborhood Goods and Front Burner Restaurants. Don’t worry though, if Millennial Toast isn’t your thing, they have a wide range of other items like burgers (really, really delicious burgers) to enjoy, like cocktails. Oh yes! cocktails with great names like the ” Window Shopper” and “Up Your Alley” this hidden secret sounds like a place to enjoy something new and fun while shopping at one of the most incredible developments of ‘this’ millennial. 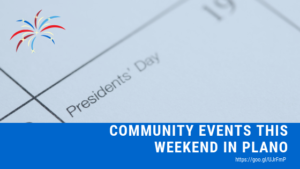 Community Events Happening This President’s Day Weekend in Plano! There so much to do in Plano this President’s Day weekend it’s hard to keep count! Isn’t wonderful to live in such a vibrant community?! 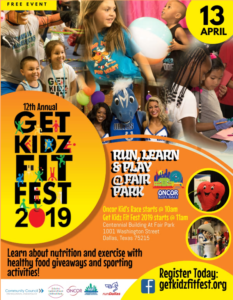 We hope you can get out and enjoy some of the wonderful festivities that Plano has to offer! SO SCARED…PARALYZED WITH WORRY…DEEP GUILT…AND OTHER CRAP WE ALL FACE. 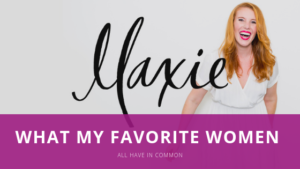 Copyright © 2019 Maxie, All rights reserved. You’re receiving this email because you love a dose of inspiration and opted in! 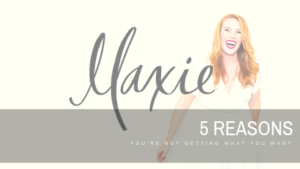 This information comes directly from our subscription to Maxie McCoy's incredible blog.